All are invited to hear Jenifer Bowen, CEO of Iowa Right to Life, speak on the topic of women’s health. 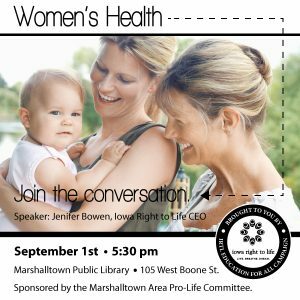 This presentation is sponsored by the Marshalltown Area Pro Life Committee. Click picture for a downloadable flyer.